Coming together, sharing waves, getting to know a new culture, eating local cuisine – all this is what matters to us. 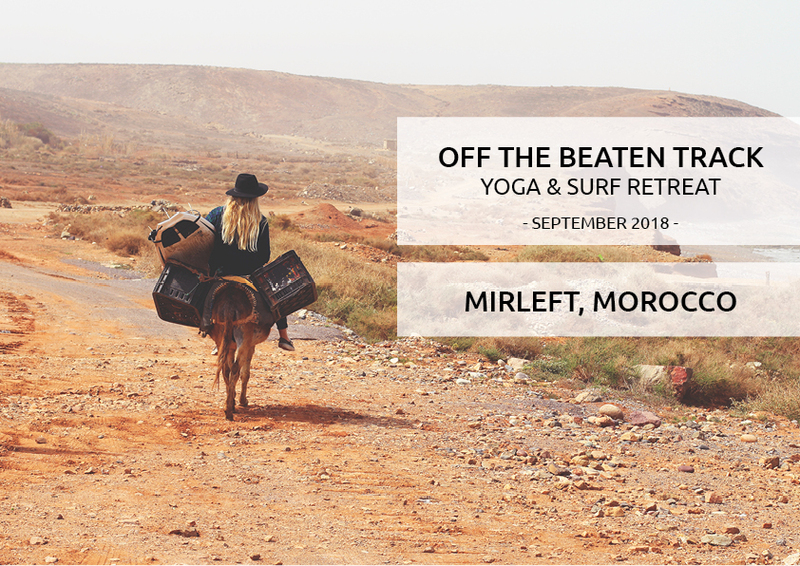 For our next retreat, we want to show you one really special place, a beautiful and unexplored part of Morocco – Mirleft & Sidi Ifni. Even though Mirleft has a lot of great surfing spots to offer, not a lot of people make their way down there. 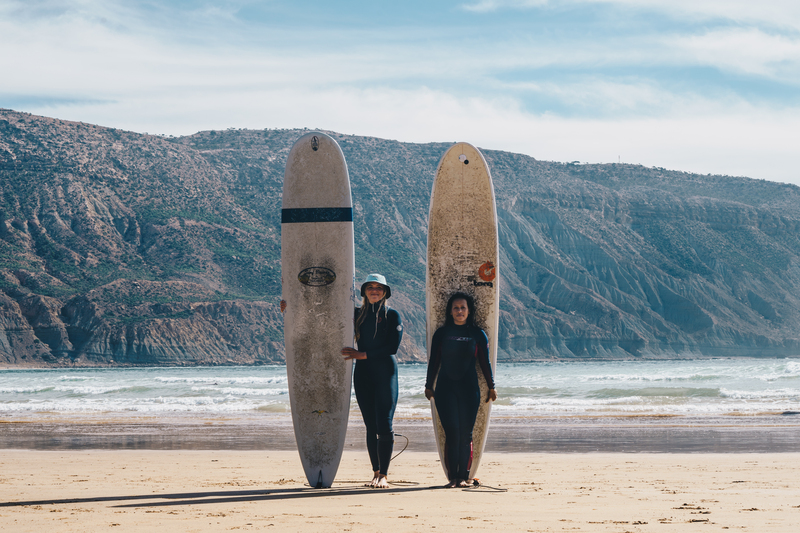 This means for us: Empty lineups, rural coastlines, beautiful surf spots and a glimpse of the real Morocco. Together with our friend Mohammed, who grew up in Mirleft, we’ll explore all the hidden spots together… the spots behind the dunes, at the end of the stony road, down the cliff. You’ll be amazed by this beautiful piece of Earth. 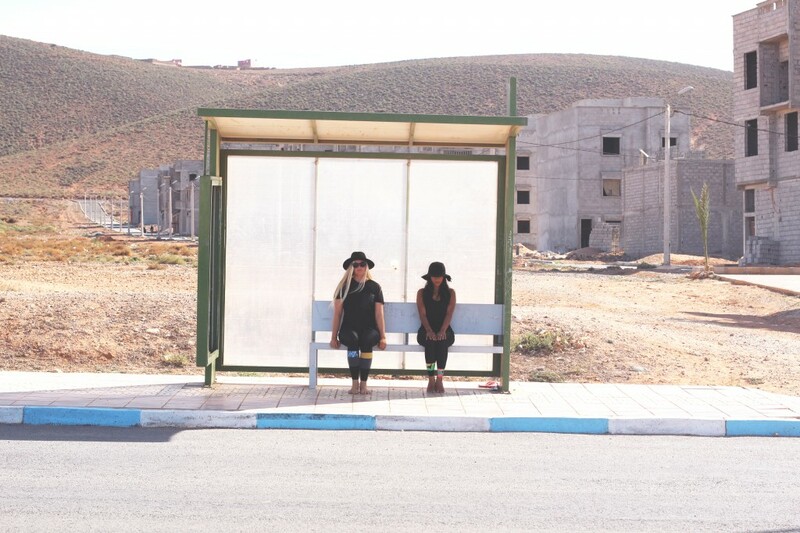 Mirleft is a small, Berber town located where the Atlantic Ocean meets the mountains. Positioned by the seaside, the town is known for its beautiful, tranquil beaches; which have become the best kept secret in Morocco. Mirleft offers some wonderful places for those who wish to enjoy their time, relax, and recharge themselves. Mohammed (aka Momo) will be our head coach. He has been surfing since he was little kid and has developed an irresistible passion for the ocean. He really loves the thrill and is hunting big waves all around the world. But no worries, we’ll find waves for all levels, from beginner to advanced. 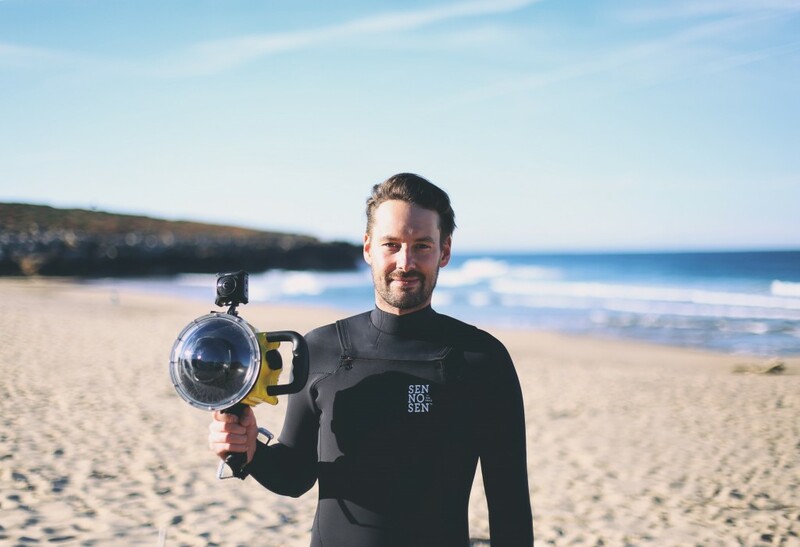 Depending on the waves and tides we’ll have 1-2 surf sessions every day and Momo will help you to make the first steps on the board, to get your surfing game to the next level and to improve your technique. We’ll divide you in different groups, depending on your level. Twice during that week, we’ll make a video analysis to get the best out of your surfing! 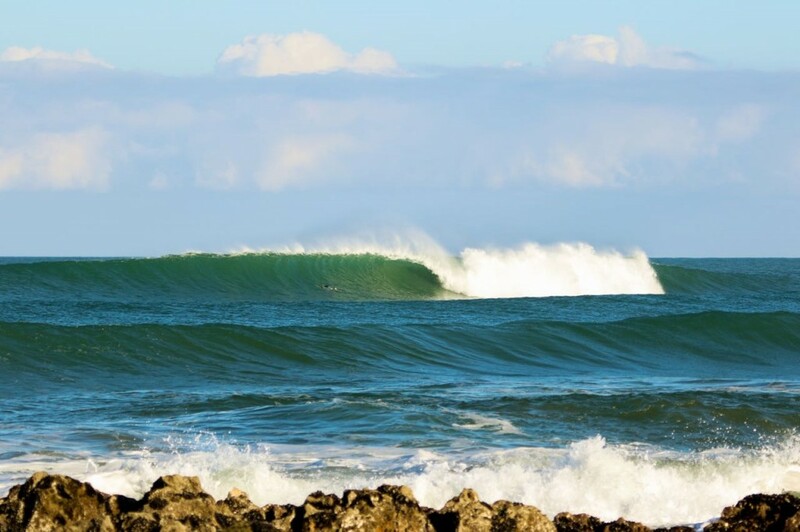 The spots: In Mirleft we have a great variety of point and beach breaks, from mellow to hollow waves. You will not get bored of surfing the same spot every day as we’ll show you different spots stretching along the coast with over 100km. Surfing is an intense experience with powerful adrenaline rushes. Our amazing yoga teacher Chanti Mai knows the benefits of being in tune with the body and breathe while surfing. Core strength developed through yoga, strength training will allow you to master the ‘pop up’, while your balance and body will serve you well riding the waves and maintaining control of the board. Restorative & Yoga Nidra in the evening. 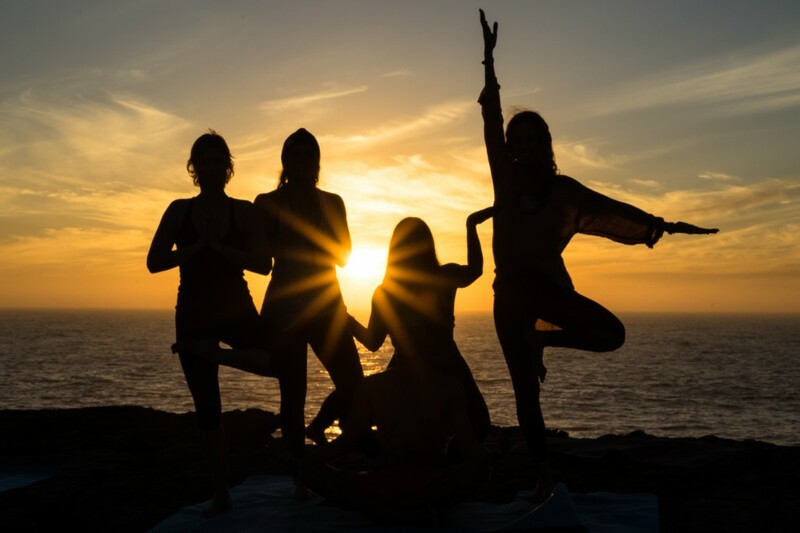 Apart from daily yoga and surf sessions, we’ll have some other surprises for you. 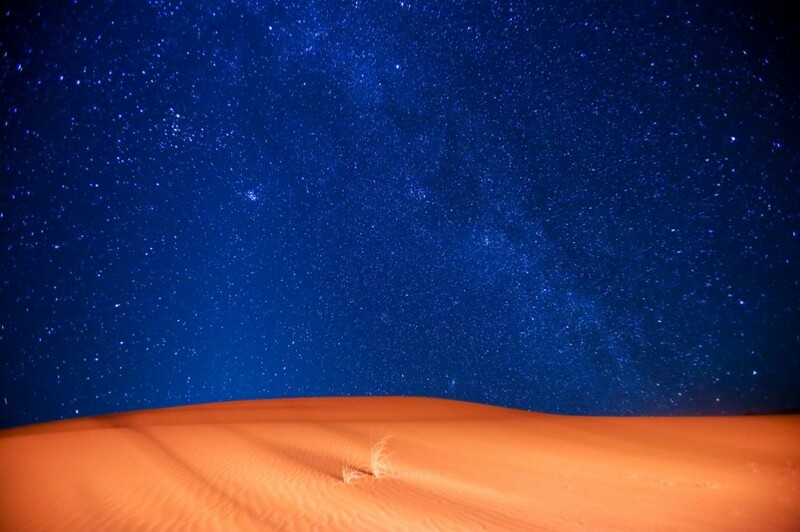 We’ll spend one night in the desert under the stars (next to a surfspot) to share some crazy bonfire stories. We’ also offer a free hammam/ massage for everyone to unstress and relax. 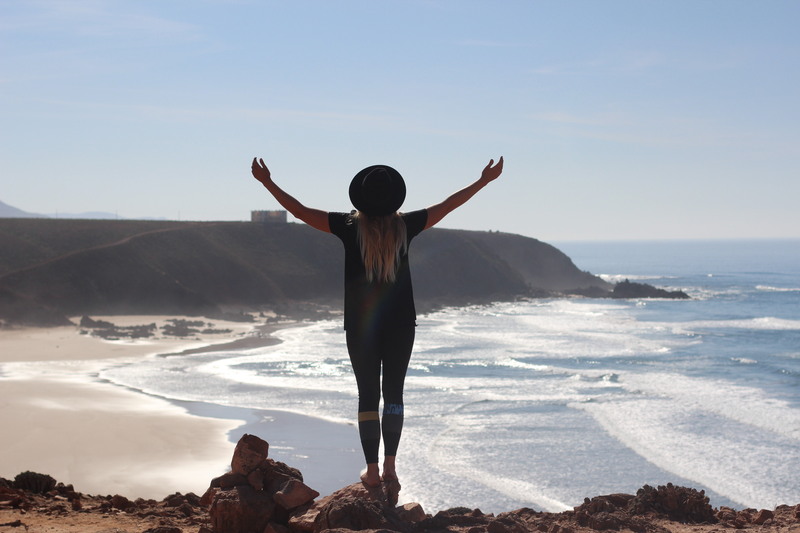 Between all the surf and yoga sessions, we’ll still make sure that everyone has time for him/herself and we’ll explore the wonderful sites of Morocco’s Southern side. We’ll also have professional photographers on board, who will capture the whole experience, leaving more than just a memory. 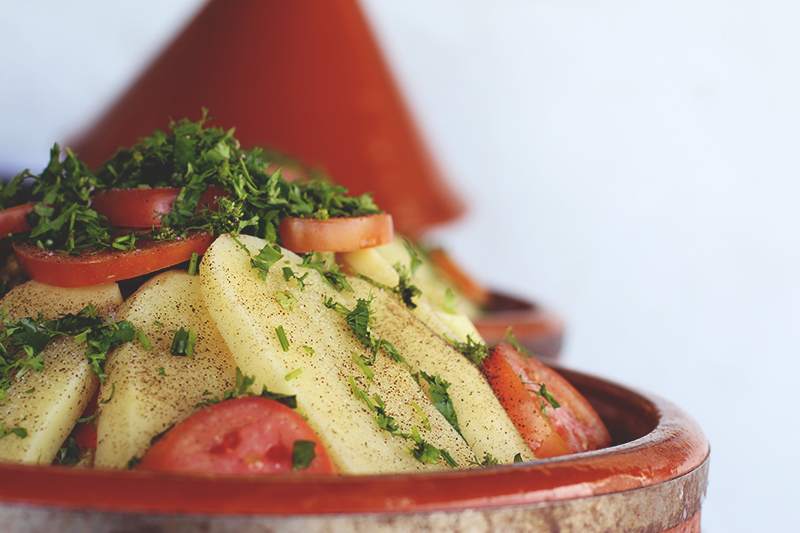 We offer traditional local cuisine, such as tajine and couscous as well as really (!) fresh fish straight from the ocean. We offer vegan/vegetarian options as well. Situated in front of the ocean, just a tiny footwalk away from the beach, we have the opportunity to relax, unwind and unstress. 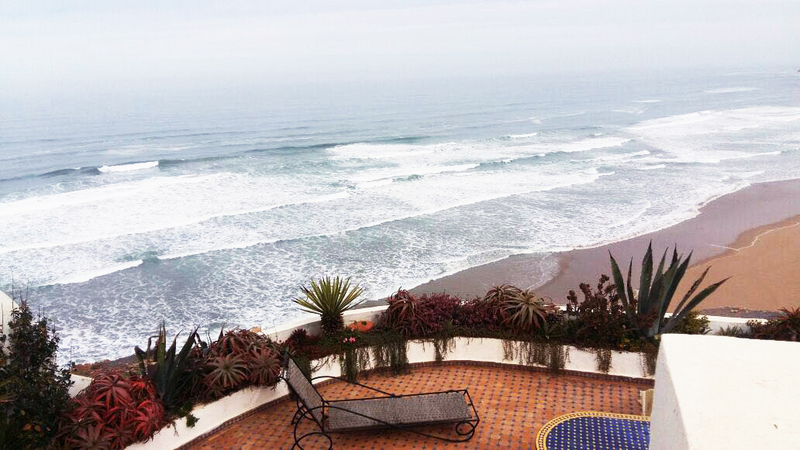 Between our surf sessions, you can enjoy our common spaces: sunny courtyard, cozy Moroccan salon and large open terrace. Chanti & Marie will be your hosts during our Mirleft retreat. Marie is a photographer and will capture the retreat. Chanti will be your yoga instructor. Mohammed is originally from Mirleft and knows all the spots perfectly. He has several years of coaching and teaching experience and will take good care of you. Momo is now living and working in the UK and can’t wait to come back to share his home spots with us. 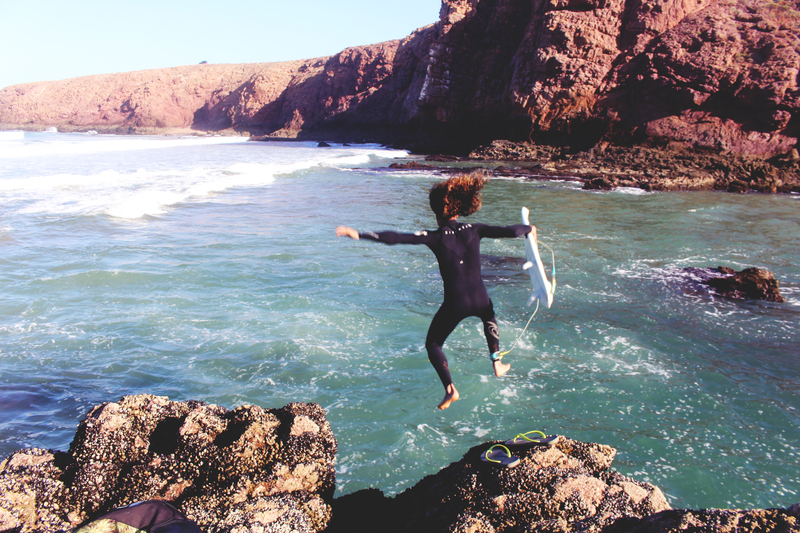 The coldwater photographer Sebastian Drews is keen to try something new and explore the sunny side of Morocco with us. Sebastian will capture the retreat through his camera and create memories to remember. Follow him on instagram already and get inspired @sdxfotografie. 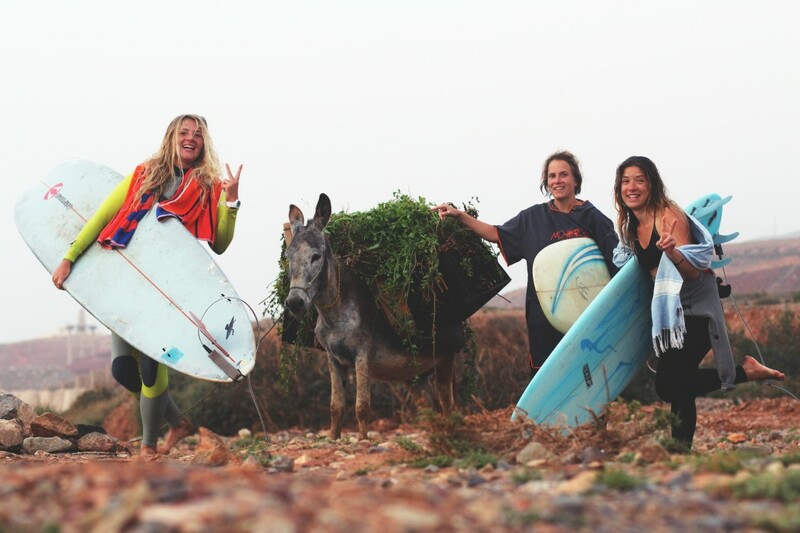 Hi, I just came across the offer for the surf retreat in Morocco. I‘d like to give it a thought and will get back to you. What kind of rooms do you offer – single, double?